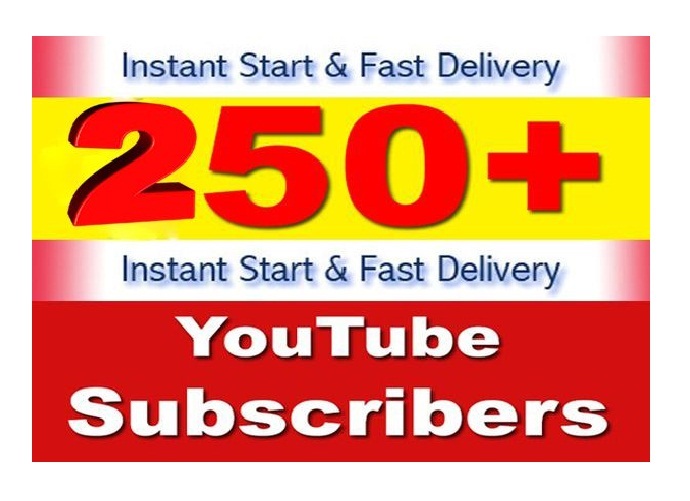 I Can Provide You 250 YouTube Subscribers Real non-drop & Lifetime Guaranteed! 1. Real human YT subscribers and likes. People will be permanent. – If you need more than 1000 please check my extra service. – If you nee huge number of subscriber please contact with me. I am a full service social media marketing expert. I have spent most of my time in the last 10 years working on social media for people and businesses. I specialize in social media...Read moreI am a full service social media marketing expert. I have spent most of my time in the last 10 years working on social media for people and businesses. I specialize in social media marketing with Twitter, Facebook, LinkedIn, Google +, YouTube, Instagram, Pinterest, etc. As well as working with the social media profiles themselves, I am also an expert in Facebook, Twitter, LinkedIn, YouTube, and Pinterest Ads.